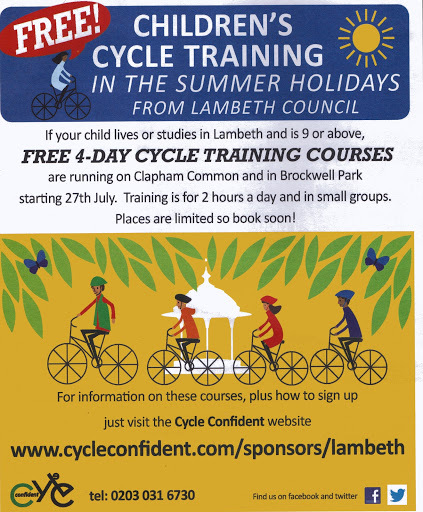 This year Lambeth will once again be offering cycle training courses for young people over the school summer holidays in Brockwell Park and on Clapham Common. Sign up now to take part in these courses for young people aged 9 and upwards. The courses are free to young people who live or study in Lambeth. The courses will consist of four two-hour sessions and will give young people Level 2 Bikability skills to cope with cycling in traffic. The courses will take place in Brockwell Park and on Clapham Common and surrounding streets.